Hinton weaves another chilling story here as he tells of Ryan and the fascinating mobile phone which he buys at a car boot sale for far less than it is worth. This –and the haunted face of the seller – convey right from the start that something is very wrong. 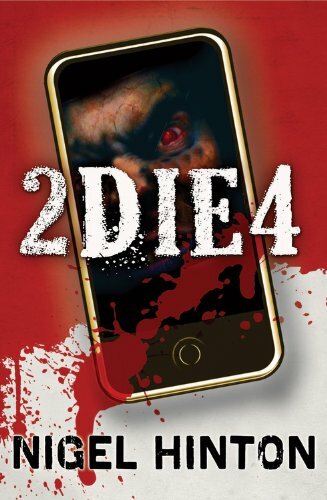 After Ryan has acquired the phone, his self-congratulation soon ends when it seems to operate more and more as an independent entity, an entity with a terrifying persona making horrifying threats. Woven through this narrative thread is the sub-text of Ryan's misplaced mistrust and hatred of his mother's boyfriend who, in the end, when Ryan's life is in danger, becomes his saviour. The juxtaposition of the growing menace of the presence in the phone and Ryan's increasing isolation from his family give the story a credible tension.